Kvitova is a two-time champion in Wuhan. The fifth edition of the Wuhan Open kicked off on Sunday with lots at stake at the WTA Premier 5 event. Nine of the world’s top 10 are in action in the capital of the Hubei province this week with Naomi Osaka being the only exception. The Japanese star followed up her stunning title victory at the US Open with a run to the Tokyo final, which she ended up losing to Karolina Pliskova on Sunday. She pulled out of Wuhan citing a viral illness. Here are five main talking points surrounding this year’s Wuhan Open. Besides the generous $2,746,000 prize pot on the table, there are 900 points on the line for the champion in Wuhan this week which would make a huge difference in the Race to Singapore standings. Only Simona Halep and Angelique Kerber have locked down their spots for the season-ending championships so far, which means Petra Kvitova, Caroline Wozniacki, Elina Svitolina, and Kiki Bertens will all be looking to cement their status in the top-eight in the Race with strong performances in Wuhan this week (Sloane Stephens already lost on Sunday to Anett Kontaveit). The players currently ranked 9 to 16 in the Race could all close in on Bertens, who is occupying the No. 8 spot at the moment. So a lot of movement can occur here at the Optics Valley International Tennis Centre and the players are well aware of it. “I still didn’t qualify for Singapore. For me that’s the goal. Obviously it’s a huge motivation for me,” Svitolina was quick to point out on when discussing the challenges of staying motivated during this stretch of the season. If Caroline Garcia defends her Wuhan title, she could potentially move up from 17 to No. 9 in the Race and put herself in contention for Singapore. Others from the chasing pack in action this week include Pliskova, Daria Kasatkina, Madison Keys, Julia Goerges – who won her first round on Sunday against Marketa Vondrousova – and Garbine Muguruza. Even though she’s already confirmed for Singapore, Wuhan presents an opportunity for Halep to rebound from a disappointing first-round exit at the US Open last month, where she was sent packing by Estonian Kaia Kanepi. The world No. 1 has a bye in the first round and will open her Wuhan campaign against either Dominika Cibulkova or lucky loser Monica Niculescu. Admittedly disappointed by her results at the majors this season, Svitolina is also in need of a positive result to get her back on track. The Ukrainian world No. 6, who is still in search of a maiden Grand Slam semi-final, has parted ways with her coach Thierry Ascione and has hired Nick Saviano as his replacement. Andy Bettles, who was acting as an assistant coach in her previous set-up remains part of the team. Saviano has lots of experience coaching on the WTA tour and has worked with the likes of Eugenie Bouchard and Sloane Stephens in the past. There are some nail-biting first rounds taking place in Wuhan, and possible tantalising second rounds as well. Muguruza takes on her Wimbledon conqueror Alison van Uytvanck, Johanna Konta faces last year’s runner-up Ashleigh Barty, Seoul champion opens against Belinda Bencic, while Jelena Ostapenko plays Daria Gavrilova. Halep could potentially start against Cibulkova and Kerber might begin against Keys. Kvitova has won two of the four editions of the Wuhan Open so far in her career (2014, 2016) and the Czech is hoping to make it a triple this week. She has claimed five titles already this season but is 9-5 win-loss since lifting the trophy in Birmingham last June. Kvitova’s success in the Far East doesn’t stop at Wuhan. She also won Zhuhai (2016) and Tokyo (2013) in the past, and made finals in Beijing (2013) and the season-ending Championships in Singapore (2015). “Actually from the first tournament we played here, I just felt great here. Obviously I like to play in Asia, in China. It’s tough to explain why,” said Kvitova on Sunday. She says she was sick after the US Open but feels ready to compete. Caroline Wozniacki admits the issue of possible gender bias in tennis officiating never crossed her mind before Serena Williams accused umpire Carlos Ramos of sexism during the US Open final, but believes the Portuguese official could have handled the situation differently. 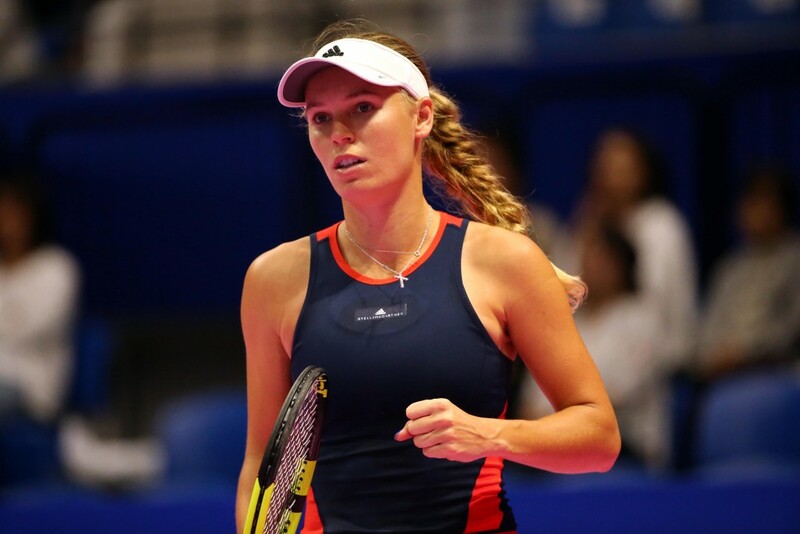 Speaking ahead of her participation at the Wuhan Open on Sunday, Wozniacki discussed the incident that saw Williams receive three code violations from Ramos that led to a game penalty in the final she lost to Naomi Osaka earlier this month. 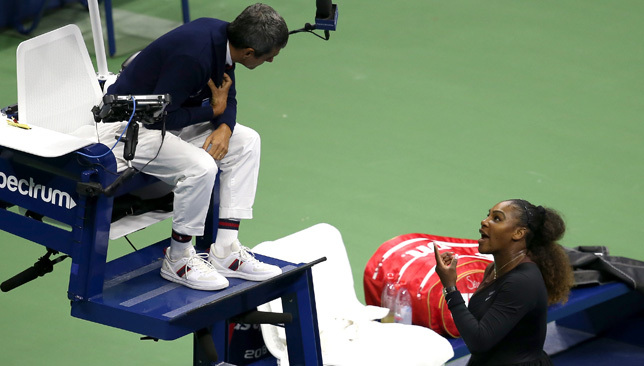 Williams was infuriated when Ramos issued her a coaching code violation when he saw her coach Patrick Mouratoglou signal her during the second set. Wozniacki did not necessarily back Williams’ sexism claims but believes the Ramos should have given the American a soft warning before issuing a direct coaching violation. “I never really thought about it ‘till that happened because to me, I’m so focused on just myself and our tour. I never really tried to compare us to the men,” said Wozniacki when asked if she ever felt she was being treated differently by an umpire compared to a male player. “But I think Serena has a point. I think she has a point in some of what she’s saying. I think everyone has the right to their own opinion. The WTA allows on-court coaching while Grand Slams do not and Wozniacki noted how Williams never requests Mouratoglou for coaching visits during any of her tour matches. “If someone knows Serena, if someone has followed her career, she never gets coaching, and she never asks for the coach on court,” continued the Australian Open champion. “I think as an umpire, as a great umpire, you obviously have to be a good umpire to be in the finals, you should also be aware that this is the situation. I think you should be aware that Serena is not one of those people that really looks up to the box or communicates with the box. That’s really what I can say in this situation. “In my opinion I think that in the situation he probably should have given her a soft warning, and if he felt this is the way it was, said that ‘Your team is making signs, you need to make them stop’. That’s, in my opinion, the way that the umpires usually do it. “If you were to be strict on this and say, ‘Any signs, anything’, then you should have taken both players and the coaches before the match and said, ‘Hey, I’m really strict today. I tolerate nothing. It’s the way it is’. That’s also okay. Some of the people who have come to Williams’ defence have pointed out the fact that not all umpires give coaching violations when a coach is spotted making signals from the stands. Mouratoglou admitted on camera that he was coaching during the final –which is strictly against the rules – but quickly mentioned that all coaches do it and never get called on it. “I think there should just be maybe some clear rules. Either it’s allowed or it’s not allowed. If it’s not allowed, then it should be very strict. If it’s allowed, we are allowed coaching on the court, it’s allowed to have a little bit of encouragement or whatever, then it’s allowed,” said Wozniacki. “I just think either way there should be some clearer guidelines. That’s really it. I think in general the umpires are very good with that. “I think as a player you just kind of want to know. If you get a soft warning before, even if you think there’s nothing going on and you get a soft warning, at least you’re aware of it. That’s fair. But, you know, I think sometimes the player feels a different way than the umpire. Sometimes the umpire’s right, sometimes the player’s right. Wozniacki, who is seeded No. 2 in Wuhan, opens her campaign against Swedish qualifier Rebecca Peterson, who beat Timea Babos on Sunday via retirement 6-7 (0), 6-4, 4-1.